Feasibility Study Update. 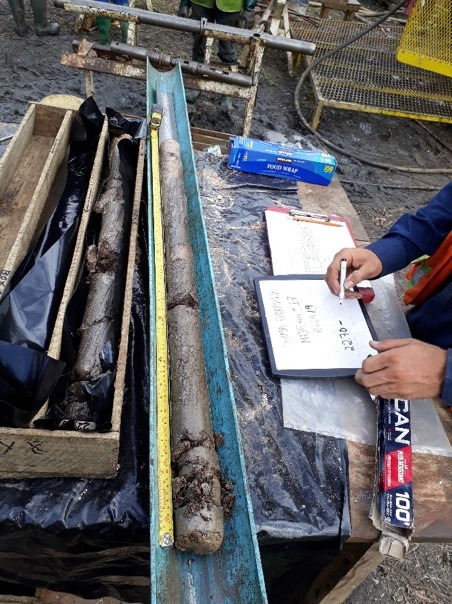 Fieldwork Well Under Way – SRG Graphite Inc.
Montreal, Quebec, October 01, 2018 – SRG Graphite Inc. (TSXV: SRG) (“SRG” or the “Company”) is pleased to provide an update on the ongoing feasibility study for the Lola Graphite Project in Guinea, West Africa, announced earlier this month. Fieldwork required for the feasibility study is either well under way or completed ahead of schedule or on time. Given the positive advancement of fieldwork, management is confident in the timeline established for the completion of the feasibility study. The mine geotechnical fieldwork, piloted by Mine Design Engineering (“MDEng”), is completed. Samples are already at the laboratory and preliminary results should be received by year’s end. The mine geotechnical study will help SRG design the open-pit mine by assessing soil composition over and around the deposit. Similarly, the civil geotechnical fieldwork, piloted by Sahara Natural Resources (“SNR”) and DRA, is also completed. Samples are already at the laboratory, and preliminary results should also be received by year’s end. The civil geotechnical study will contribute to finalize plant location. The hydrogeology fieldwork, also piloted by SNR and DRA, is well under way. Four of the six projected wells have already been dug. The groundwater study is essential for open-pit mine design and the environmental impact study. For tailing storage facility (“TSF”) design, Epoch Resources has conducted their initial site visit in mid-September. They have identified nine potential TSF. Epoch will now evaluate which site is best suited for the project and define the tailings management method. Results of this study will be known by year’s end.